With a Dymo LetraTag you can quickly and easily print a whole range of labels for your home or office. You can label everything from jars in the pantry to file folders in the office..... from kids clothes to shelves in a library. They're certainly a versatile label maker. A really cool feature that not everyone knows about is the ability to funk up your labels by adding a border to the text you're printing. We're not talking about just a plain box here (although that is an option), we're talking about cool borders like : Crocodile, Train, Sweet Hearts and Flowers. And that's it! Your label now has an Underline or Border added to it. Options for borders include: Underline, Square, Pointed, Rounded, Crocodile, Edged, Train, Sweet Hearts and Flowers...... and these can be applied to a one-line label or a two-line label. These instructions are for the Dymo LetraTag LT-100T Label Maker and the Dymo LetraTag LT-100T Label Maker. These models are compatible with a whole bunch of labels. 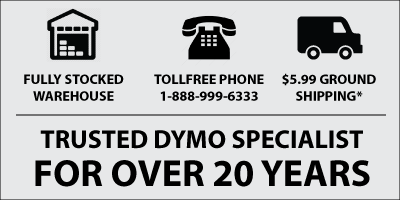 Here's where you'll find all the different Dymo LetraTag Labels.